This particular edition of Thirsty Thursdays will be a slightly stripped down version for you all – I’m saving a lot of the good stuff for the Don’t Stop Living book. A quick paragraph of perspective here for you first in case you don’t know the drill. In the 1980s I shared a hospital ward with Paddy Campbell, in 1993-1994 he was my best mate at school in Bangor, Northern Ireland. On the 16th May 1994 we nicked an exam paper and he got expelled. I saw him twice briefly since, but since 1997 I hadn’t seen him at all. In 2014 the 20 year mark of that stolen exam paper came round so I wrote the story of the Great Exam Heist, hunted Paddy down via Twitter, the Live Theatre website and we were back in touch. 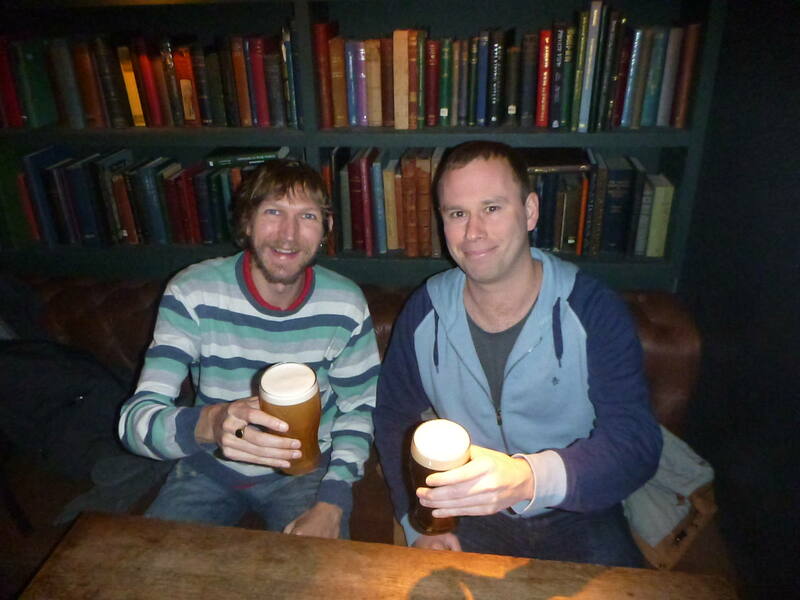 On a sentimental journey on life’s corridor, I made the trip to Newcastle Upon Tyne in December 2014 to polish off the year nicely with this reunion with the one and only – Paddy Campbell. In the intervening months I had managed to watch Paddy’s award winning play Wet House in Soho, London. 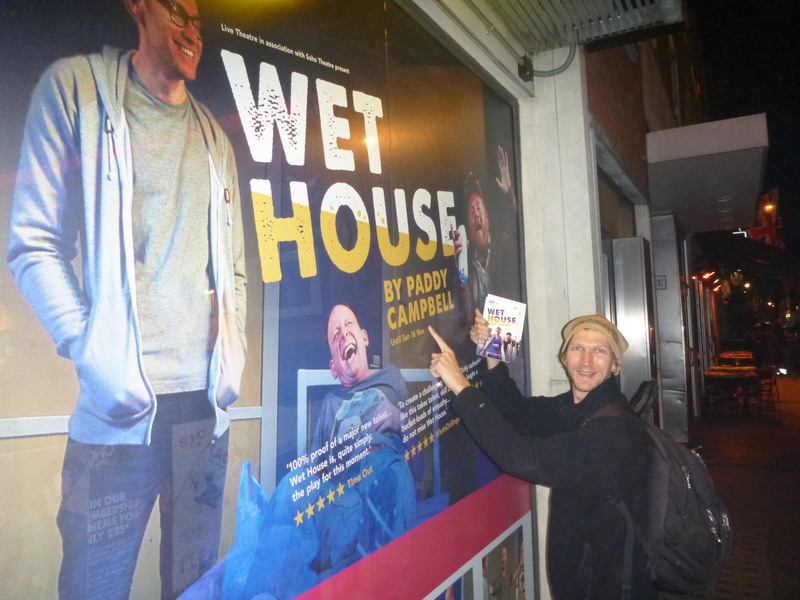 Attending the play Wet House by Paddy Campbell in Soho Theatre, London. Then the 20 year reunion came round. I needed a decent 4 star for the night so I stayed in the countryside at the Doxford Hall Hotel and Spa. I then got a bus from Alnwick down to Newcastle Upon Tyne. It was a dreamy bus journey where I conjured up a nostalgic 1994 mix on my iPod. Even with the likes of D:Ream’s “Things Can Only Get Better” (which Paddy and I once sang along to), Seal’s “Kiss From a Rose”, M.People’s “Search for the Hero” and 2Unlimited’s “No Limits”, I still drifted to sleep on the bus and awoke to find myself in Haymarket. 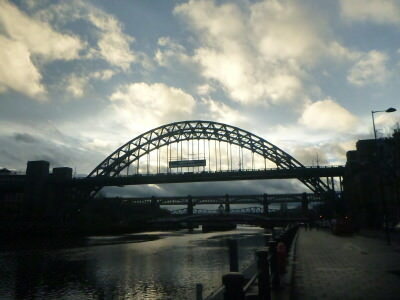 This was also my first ever time in Newcastle Upon Tyne. I had previously visited Newcastle in Northern Ireland and the one in Australia. It would be a short walk from Haymarket down to where Paddy and I arranged to meet and I was mega early. Newcastle Upon Tyne, England – venue for the 20 year Paddy Campbell reunion. It was done by Facebook message – “I’ll book the Bridge Tavern for 5pm” said Paddy. “OK mate see you there” I said. And that was it. Even the trip down to the Bridge Tavern that day had some magical twenty year quality about it. 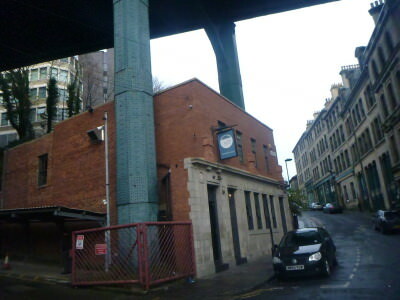 The Bridge Tavern – venue for the reunion. The journey through remote countryside, the 1994 music, the fact that on the walk down there was a Bridge Bar as well as a Bridge Tavern. I was early for our rendezvous so I popped into the Bridge Bar first for a pint. Then I headed to the Bridge Tavern – a trendy venue under the Tyne Bridge. A real Ale House. Paddy picked it of course – he still had taste. Unblemished by anything that had happened in between. 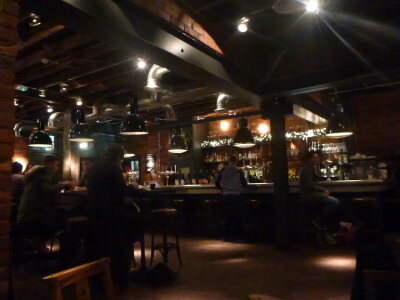 Interior of the Bridge Tavern, Newcastle. I was there first, maybe 5-6 minutes early. 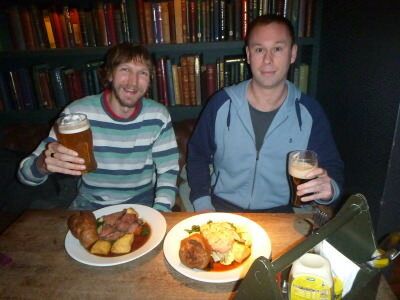 I headed to the bar and ordered a pint of Ale – I sampled a few different ones first – it’s a real Ale house. 2 sips in and in through the door walks Paddy Campbell. Paddy was instantly recognisable. “What you drinking?” says I. “Guinness” says Paddy. Of course it would be wouldn’t it – my drink of choice too on a normal night. Paddy and I enjoying our pints, meals and catch up. We get a table at the back and order our food too. Paddy’s on pork. 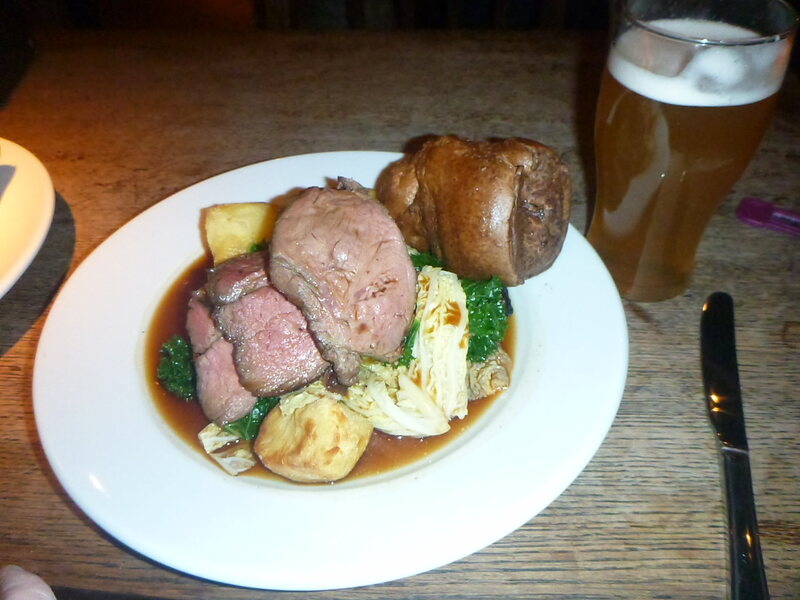 I’m on beef. We reminisce. He tells his side of the Great Exam Heist story, it’s different to mine, and different to Scott Callen’s side of the story. Three sides to one story but the history only shows the facts. It’s like a football match isn’t it? End result is what people remember. A hat-trick of eejits were somehow involved in a theft and a circulation of theft materials, 1 was kicked out, 2 were punished and the 3 people got on with their lives. So we laughed, we talked, we drank, we ate, we met some celebs (Paddy’s well known in the Art and Theatre scene in the Toon) and we said our goodbyes again. That was that. What else would you like to know? Any scoops on Paddy’s up coming plays? Can Paddy Campbell do a backflip in 2014? When was the last time Paddy Campbell visited Northern Ireland? Who really stole the exam paper? The book’s been reopened and we’ll meet again. 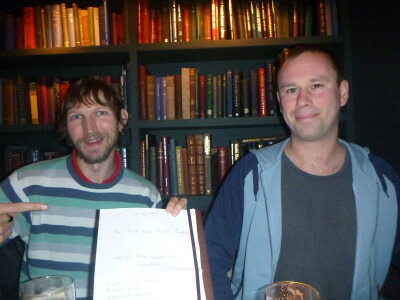 Jonny Blair and Paddy Campbell with the stolen exam paper, 20 years down the line. Do yourself a favour – go to one of Paddy Campbell’s plays – he’s a hard working playright with a passion for what he does in life. His plays are real and I’m buzzing to watch the next one. He works at Live Theatre in Newcastle Upon Tyne, England. And as for the rest of the questions, there’s going to be some more Paddy Campbell stuff in my long awaited (and no doubt delayed) book in 2015. Paddy Campbell is one of those memorable people you’ll meet on life’s corridor. Star. This entry was posted in Bangor Grammar School, Bars, Daily Features, Education, England, Europe, Newcastle Upon Tyne, Northumberland, Paddy Campbell, People, Qualifications, Thirsty Thursdays. Bookmark the permalink. very inspiring , when i was reading about you . Do u know brian tracy? he had same life sytle like your, but now he is multi millionaire man. Glad you were able to reconnect and resolve something that had troubled you since childhood. Seems like a great lad to not hold this against you, either. Hopefully you two have more adventures together in the future! manually is time consuming, there is tool for this task.